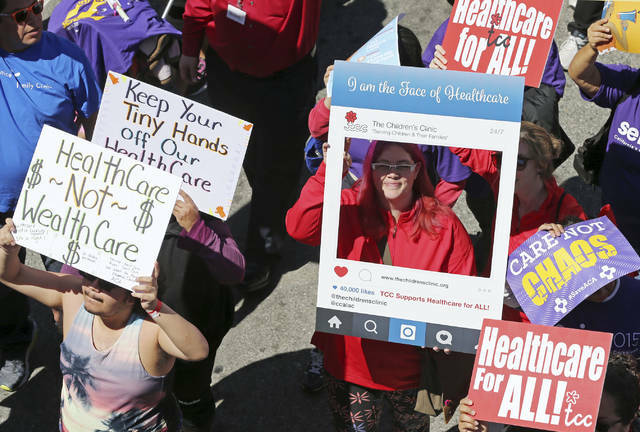 SEATTLE (AP) — Riding the momentum from November’s elections, Democratic leaders in the states are wasting no time delivering on their biggest campaign promise — to expand access to health care and make it more affordable. The first full week of state legislative sessions and swearings-in for governors saw a flurry of proposals. In his initial actions, newly elected California Gov. 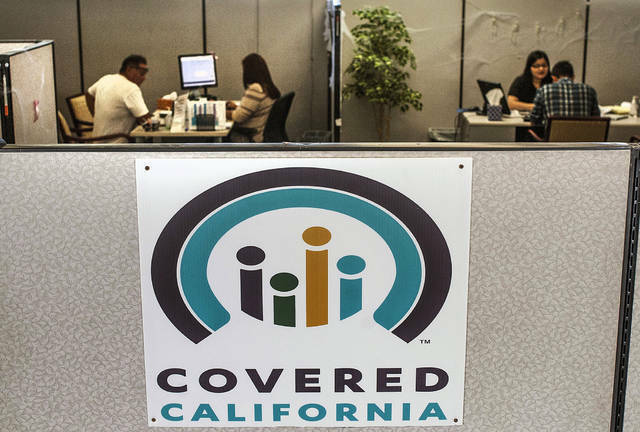 Gavin Newsom announced plans to expand Medicaid to those in the country illegally up to age 26, implement a mandate that everyone buy insurance or face a fine, and consolidate the state’s prescription drug purchases in the hope that it will dramatically lower costs. Washington Gov. Jay Inslee proposed a public health insurance option for people who are not covered by Medicaid or private employers and have trouble affording policies on the private market. Democrats in several states where they now control the legislature and governor’s office, including New Mexico, are considering ways that people who are uninsured but make too much to qualify for Medicaid or other subsidized coverage can buy Medicaid policies. And in the nation’s most populous city, New York Mayor Bill de Blasio announced a publicly run plan to link the uninsured, who already receive treatment in city hospitals, with primary care. It’s all in keeping with the main theme Democratic candidates promoted on the campaign trail in 2018. They touted the benefits of former President Barack Obama’s health overhaul — such as protections for people with pre-existing conditions, allowing young adults to remain on their parents’ health insurance policies and expanded coverage options for lower-income Americans. At the same time, they painted Republicans as seeking to eliminate or greatly reduce health care options and protections. 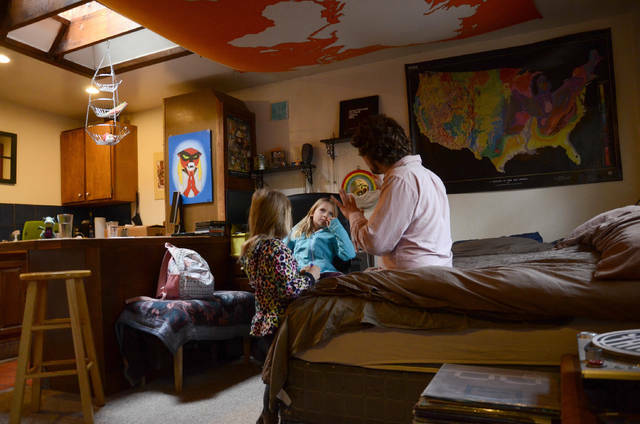 “Once you give something to somebody, it’s pretty hard to take it away, and I think we see that with how the support for the (Affordable Care Act) has grown over the last two years,” said Washington House Rep. Eileen Cody, who is leading the state’s public option proposal. The actions also represent a pushback to steps taken by the Trump administration and congressional Republicans to undermine the Affordable Care Act. The GOP tax law stripped away the individual mandate, which was intended to stabilize insurance markets by encouraging younger and healthier people to buy policies. And last summer, the Trump administration said it would freeze payments under an “Obamacare” program that protects insurers with sicker patients from financial losses. That move is expected to contribute to higher premiums. The Democratic proposals fall short of providing universal health care, a goal of many Democrats but also an elusive one because of its cost. In recent years, California, Colorado and Vermont have all considered and then abandoned attempts to create state-run health care systems. Still, many Democrats are eager to take steps that get them closer to that. Some lawmakers in Colorado, where Democrats now control the legislature and the governor’s office, are proposing a state-run health insurance plan similar to that announced by Inlsee. It would reach those who don’t qualify for federal assistance or who live in rural areas with few health care choices. Both states plan to rely on their agencies that administer Medicaid, the state-federal program that provides health coverage for roughly one-in-five Americans. Republicans are skeptical about whether the states can afford it, since they already pick up a portion of Medicaid costs. “This is about having the government competing in the private market. Medicare-for-all will be priced out,” Washington state Rep. Joe Schmick said. Taking incremental steps to increase coverage options and make health care more affordable may be a smarter strategy than pursuing a costly and complicated all-or-nothing proposal for universal coverage, said Katherine Hempstead, senior policy adviser at the Robert Wood Johnson Foundation. “Everybody wants to pay less for health care,” she said. Democrats now have more leverage to experiment. Campaign messaging around health care helped them flip seven governor’s seats to bolster their numbers to 23 across the country and win back several state legislative chambers. They gained full control of state government in several states, including New York and Nevada. That power will allow them to consider health care expansions that Republicans have resisted. In Nevada, for example, the state’s Democratically controlled legislature passed a bill in 2017 that would have let anyone in the state buy into a Medicaid insurance plan, similar to the option being pushed in New Mexico. But former Gov. Brian Sandoval, a Republican, vetoed it. The new governor, Democrat Steve Sisolak, is forming a committee to look at health care options, including the possibility of requiring everyone to have insurance. In addition to the California proposal, that mandate already is in place in Massachusetts and New Jersey, with Vermont following in 2020. It’s a similar dynamic in New Mexico, where Democratic lawmakers have talked for years about allowing people, including non-citizens, to buy into Medicaid if they cannot afford insurance any other way. Colin Baillio, policy director for the advocacy group Health Action New Mexico, said a bill is being drafted with the goal of getting it adopted this year and implemented for 2020. The optimism comes because the new governor, Michelle Lujan Grisham, is a Democrat.